Hulett & Associates, LLC posts recent events involving Dr. Hulett. We appreciate your comments, sent to info@projectrisk.com. Hope to see you there..
Dr. Hulett gave a joint paper entitled "Integrated Cost/Schedule Risk Analysis Using Monte Carlo Simulation of a CPM Model" with Mike Nosbisch at the Construction CPM Conference in San Diego on January 22, 2019 and again at the Western Council of Construction Consumers Summit in Los Angeles on January 30, 2019. Hulett & Associates and Safran Software are pleased to announce the formation of their collaborative partnership aimed at delivering the very latest in cost and schedule risk management skills and supporting software. This combination of deep experience and the very latest software captures and delivers current Best Practices and Techniques to risk mediation and control for any complex project. As a direct result of this collaboration a new self-assessment tool is also announced that allows organization to assess the maturity of its own risk culture. 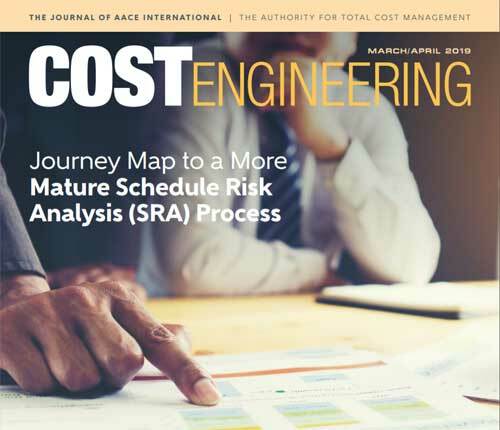 Based on the experience of David Hulett and his associates, this maturity index can then be used to improve the use of risk analytics in planning and delivering major projects and to increase the investment in the organization’s risk culture and process. The benefits of such a change can easily be understood by corporate stakeholders. To use this tool please visit link, or to see the background to this maturity index please download the White Paper written by David here. Hulett & Associates, LLC is based in Los Angeles and is managed by Dr. David Hulett. David enjoys an international reputation as having authored two well-received books that on schedule risk and integrated cost-schedule risk analysis. He has written Standards and Recommended Practices published by The Project Management Institute (PMI) and the Association for the Advancement of Cost Engineering International (AACE International). His clients include government agencies and companies in oil and gas, aerospace and defense, construction, pharmaceutical plant construction and transportation. His practice is in North and South America, Europe, and Asia. He has contributed new analytical developments to some of the well-recognized modern Monte Carlo simulation tools including Safran Risk. Safran Software Solutions has been publishing project controls software applications for over twenty years. Many of the world’s most complex and asset intensive projects rely on software from Safran to plan and deliver to budget and to schedule. Based in Norway, Safran operates globally through local offices and partners, and with a particular focus on risk management Safran is a world leader in this space. Richard Wood, CEO of Safran: "A collaboration between David Hulett and Safran is a perfect combination – two of the world’s leaders in the setting and delivery of Risk practices to all asset intensive industrial sectors." David Hulett: "I feel this to be a long overdue collaboration and a formidable team, ready to leverage all our join experience in the service of our global customers." Saybrook Associates and Hulett & Associates are pleased to announce the formation of their collaborative partnership in their practice of RISK IDENTIFICATION, ASSESSMENT, and MITIGATION. This combination of skills and strengths, along with the cooperative deployment of Best Practices and Techniques, provides our clients with the highest possible level of capability in identifying and managing or mitigating threats to their Investments and expected Successful Outcomes in their Program/Project Initiatives. Hulett & Associates, LLC is based in Los Angeles and is managed by Dr. David Hulett. David enjoys an international reputation as having authored several books that are considered as ‘The Bibles’ and written Standards and Recommended Practices that have been both embraced and encouraged by The Project Management Institute (PMI) and the Association for the Advancement of Cost Engineering International (AACE International). David is most predominately noted as a practitioner and leader in the field of Risk Assessment, Management, and Mitigation. His clients include government agencies and companies in oil and gas, aerospace and defense, construction, pharmaceutical development and plant construction and transportation. His practice is in North and South America, Europe, and Asia. He has contributed new analytical developments to some modern Monte Carlo simulation tools. Saybrook Associates Inc. is a Program/Project Management and Project Controls consulting practice based in the New Haven, CT region with offices across the USA, and provides its capabilities internationally. By deployment of Best Practices and Methodologies it enables Projects to achieve successful outcomes. Saybrook’s ‘Full Project Phases/Life Cycle Focus’ involvement in control and management of Projects and Project processes has given them the capability to not only Identify and Assess Risks – but to also employ Qualitative processes that are ‘Risk preventive’ and enable and effect Quantitative processes that optimize the time and cost investments with which to mitigate assessed risks. Hulett and Saybrook - we feel to be a ‘perfect pairing’, a formidable team, and eager to help! Please contact or visit either of our organizations or websites to discuss our capabilities and learn how we might be deployed in your behalf. The content of www.projectrisk.com is original and copyrighted by Hulett & Associates, LLC or other authors as noted. Please feel free to copy the information for personal use. Other use is only by permission of Hulett. These statements must be included on all copies of the material contained in this website.